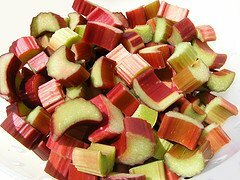 Add rhubarb-bitters to the current list of fruity drink enhancers out there. This adds an exciting twist in terms of flavor for today's bartenders. The Fee brothers have added rhubarb to their current list of fruity bitters which already includes plum, lemon, orange and peach to name a few. We hear a lot about "bitters"
They are found in grocery stores not liquor stores, as they aren't classified as spirits. They are considered to be "foods." So, don't look in your neighborhood liquor store if you want to buy a bottle of rhubarb-bitters. Check the aisles where the beverage mixers are. Some people like them added into their drinks, some don't. Some add a dash to club soda as a refreshing drink to gear up an appetite or after dinner to settle a full stomach. They can also be used in drinks to cut down on the sweetness. They were first introduced in the early 1800's and were used to enhance the flavor of the drink being served. Bartenders would put some into a glass, give it a "swish" and then pour it out. It coated the inside of the glass before the main drink was poured in. Later, they became part of the medicines that could cure your ailments and were sold by the people operating the medicine shows as they travelled from place to place. They were equal to an "elixir" if not feeling good. Bitters are alcohol (high proof) that have been infused with a variety of very flavorful ingredients like seeds, herbs, fruit bark or quinine. Bitters are very concentrated and used sparingly. Just a drop in your drink is all that is required. There are three main types of bitters that have been around forever and are used in some of the more classic cocktails. 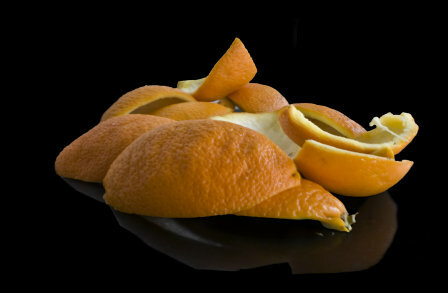 Orange bitters are added to a Martini or a Manhattan. The licorice bitters are used in a variety of cocktails. Allspice and cloves bitters (Angostura) are added to Manhattans and other cocktails. 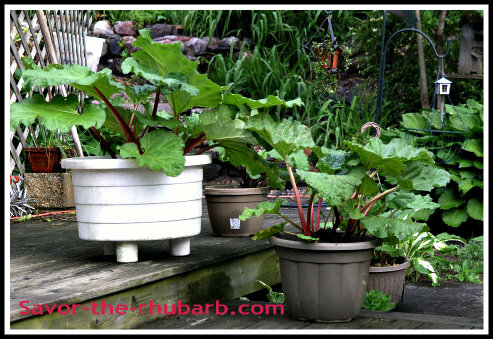 Rhubarb-bitters are part of a growing number of distinctive tastes being created, like chocolate and lemon. 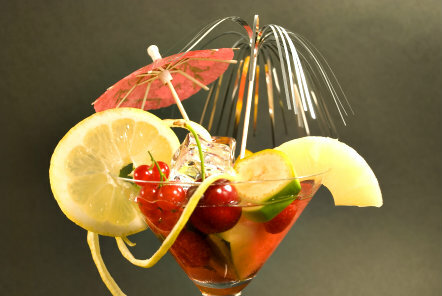 Today's Bartenders like to experiment and invent different cocktails with different distinctive and exciting new tastes. Who Were The Fee Brothers? The Fee brothers, who arrived in America in the early 1800's with their parents Owen Sr. and wife Margaret, opened a saloon and deli in 1863 after Owen Sr.'s untimely death. As the business grew, one of the sons opened a combination grocery and liquor store. During Prohibition however when liquor was outlawed, they had to switch gears and sold altar wine and made house-calls to those who could consume wine privately and legally. They then concentrated on producing flavorings for homemade alcohol. After the Prohibition era ended, they continued until the 1950's to sell cordials and wine, and then decided to focus on the concentrated flavorings only from there. As of this day, the Grandchildren of the original Fee brothers, (James, John, Owen Jr. and Joseph) operate in Rochester still upholding the family tradition of selling "bitters." The Fee brothers have added rhubarb-bitters to their list of products. They started out with 4 flavors and now they boast 13 different kinds. They say they always remember that some ingredients are almost impossible to enjoy by themselves, but added in with something else, the taste can be glorious. This is the ideology behind "bitters" and being a bartenders' dream as a special ingredient. 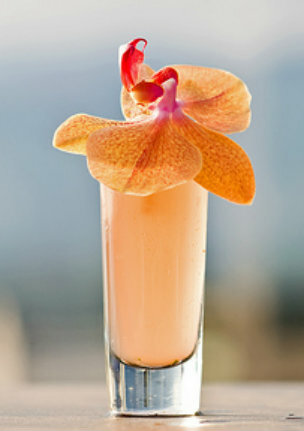 The possibilities to create interesting and exciting cocktails are endless.